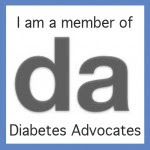 This is a diabetes blog. But this is also a blog about a family. It's a blog about a Mom trying to deal with everything life throws at her with strength, humor, and a little bit of grace. So I just have to write about this today. I could not sleep last night. Usually it's diabetes that keeps me awake. And usually by Friday night, I practically pass out from exhaustion. But not last night. Last night my heart was incredibly heavy. And it's no different this morning. Jason texted me yesterday morning with the THRILLING news that the new Omnipod FINALLY had FDA approval. I can not tell you how excited I was! Giddy! And I will post more about this very, very soon! But then he texted me that there had been a school shooting. In a kindergarten class. And there were many, many children who had been killed. I read that text (because every D Mama ALWAYS has her phone on her at all times) in the middle of my classroom. In the middle of my 28 kinders. I looked around my room at all those precious little faces and was simply overwhelmed with grief and sadness. How could this happen? WHY? I'm not just a kindergarten teacher. I'm also the mom of a six year old. All I could think of was how horrible this was for those parents who lost their precious little ones. And how awful it was for the teachers and school staff. I love my kinders like my own. They are "my" kids. I would do anything to keep them safe. As parents of kids with a life threatening, chronic disease, we look death in the face every day. Ok, so maybe that's a bit dramatic. Maybe it's stretching a little. 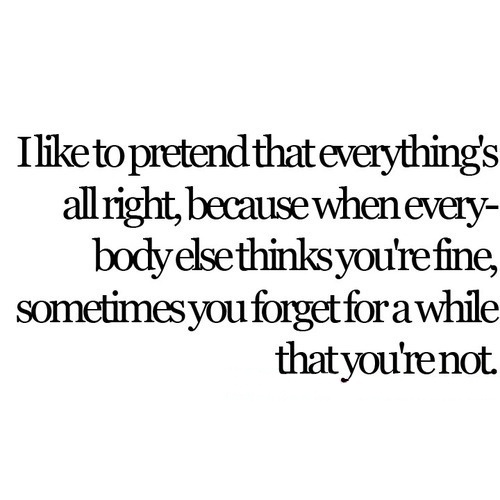 But we know how quickly things can go from fine to NOT FINE. We know how one decision can impact a multitude of things in very serious ways. We know how fragile life is. We know that we are not exempt from tragedy. We know that we are not immune. That sometimes bad things happen for no reason. We know that pain and disease and death doesn't just happen to "other people". We have all sat in a room and been told that it's happening to US. To OUR KIDS. And it changes you. It changes the way you think. I now appreciate the good days, the small moments, the beauty of this world so much more than ever before. Even when things are crazy busy, I look deeper. I feel deeper. I know how quickly things can change. 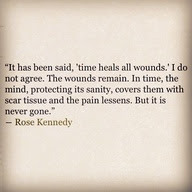 And maybe that's why this tragic school shooting has really gotten to me. Because I know I'm not exempt. And neither is my baby. It could have easily been MY classroom. It could have easily been HER classroom. This morning I am so thankful to have my little girl here with me. Alive and well. I watch her walk around and laugh and play in her little Hello Kitty pajamas and I am so thankful. I think of all my kinders and I am so thankful for each of their sweet little faces. I don't have anything wise to say. I don't have anything that will dull this ache. The only thing I have to offer up are prayers. Prayers for the school community as they are dealing with this horrific loss of life. This horrific loss of their own. Prayers for the parents and families of each of those precious babies. Friends, hug your littles today. No matter how little or big they may be. And join me in my wish of peace for the families, community, and world. I'm one of those people who always believe that you can find some good even in the crappiest of crappy situations. As I said in my last post, diabetes has been forced to take a back seat to other issues lately. And that's not been a bad a thing. Honestly, I NEEDED something to MAKE me step back because otherwise it would not have happened on it's own. I know myself. I hold on tight. Taking a step back - even when desperately needed - wouldn't have happened naturally. But I was FORCED to do just that. And not only did it turn out to be a good thing, it taught me a thing or two as well. As you may know, Jason had one heart procedure done and then needed to schedule another. He went to the doctor about six weeks after the heart attack and his cardiologist said he was doing well and he wanted to do the procedure the next week. That was a bit of a surprise - we hadn't expected it to get done so fast. So we were just waiting for the person to call and schedule. Well, the best laid plans, right? The next day, Jason started having chest pains. NEXT DAY. Of course, he did not tell me this until about this until 5 pm while test driving a possible new car. We had met at the car dealer and had two cars. I had promised to take Sweets to the pumpkin patch. That's where we were headed. He wasn't sure what he needed to do. Finally, I convinced him to go the ER and just MAKE SURE everything was ok.
Well, here's where it gets tricky. Because it's not like you can just leave your T1 kid with anyone. And especially not overnight. Luckily, I have some amazing people in my life that can are up to that job. I called my BFF and she fed Sweets dinner and kept her while I went to the hospital. Nothing was happening there. I sat with J and waited and waited... And finally, we decided that I needed to go home and put Sweets to bed. She does better when I'm there at bedtime. So I did. And my parents came to stay with J in the ER. I had no sooner gotten to my BFF's house than J called and said they were going to keep him overnight and do the procedure in the AM. Ok.... I needed lesson plans and a sub and a way to get Sweets to school and should I go to the hospital for the night and leave her with someone else or what? Misty is the only one who has ever done a nighttime before and that was the LAST time we were in the ER. I got Sweets home and was working on getting her ready for bed when she said, "MOM! There's blood in my pod!" Are you freaking kidding me? That NEVER happens. Why that night of all nights?!? So I was getting her ready for bed and helping her with her homework and getting ready to do a pod change when J calls me and says the cardiologist didn't want to wait and they were going to do the procedure THAT NIGHT. Like NOW. I told him I'd be there as soon as I could get the pod change done. Fastest pod change in history. Packed a bag and headed back to hospital after my parents came to watch Sweets. They have not watched her overnight since she was diagnosed. It freaks them out. But they did it! Of course, it ended up being a HORRID night. Lots of lows. My poor parents really had their work cut out for them and they didn't sleep a wink. Being the awesome person she is, my BFF went to the hospital with me so I didn't have to sit in the waiting room alone. She was there all night. With McDonald's coke. I didn't even make it to the hospital before they started his procedure. All went well and he was resting in ICU within an hour. I'm SO LUCKY to have people in my life that can and will take care of my child. Misty, my parents, and my BFF were all so willing to help us in any way they could. I will be forever grateful for that. Having them there - willing and able to help us out - was a blessing! I NEED to teach people how to take care of her! I NEED people to do it! J and I are such a team... We rarely leave her with anyone. It's a lot to ask.... We just don't do it. But that's not good. If you don't have someone in your life who can step in and bolus your kid for a meal and test their bg, you need to find someone. Whether it's a friend or family member or another D Mama you met on facebook.... You have got to have a team behind you. You just never know when you're going to need it. I know that's not easy. Trust me. I don't like to ask for help. I often feel like asking people to take care of diabetes is a burden, too much to ask, something I never push on anyone. I have always felt like it was ok. I could handle it. I had a moment sitting in the hospital where it just hit me.... I needed help. I couldn't be in two places at once. J needed me. Sweets needed to be taken care of. And I could literally count one one hand the number of people who could actually step in and take care of my child. Sometimes being so self sufficient isn't such a great thing. I urge you to learn from me. If you're like me... well, you've just got to find some folks who can fand will step in if needed. There's more. More I learned. More to tell about how life has changed the past few months. But I'm tired. And I need to go correct a blood sugar! Like I'm swimming through jello. Stuck. Unable to move. Every slight movement a big struggle. One step forward, two steps back. 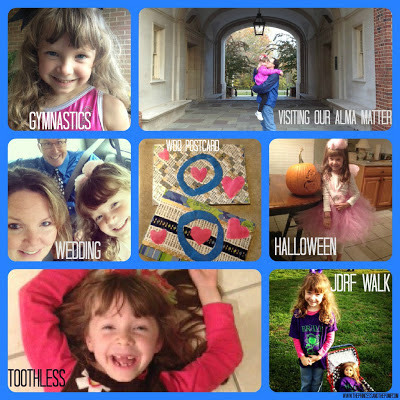 I haven't blogged since OCTOBER?!? For reals?!? Well, I guess that sounds about right. Stuck. - Jason went to the cardiologist who said everything was fine and wanted to schedule his surgery for the following week. Well, the next day he started having chest pains. Of course he didn't tell me this until 5pm. He ended up going to the ER just to be safe. The EKG they did showed changes and so faster than you can say "double bacon cheeseburger" he was having another surgery and they were putting in the other stent. It was so fast, I didn't even get back to the hospital before he went in. OF COURSE, Sweetpea's pod had blood in the cannula window - first time EVER. So I had to do a pod change before I could go. He was in the hospital a couple of days and then went back home. He is doing quite well now. He's going to rehab and behaving himself quite nicely - although he still yells at the TV much to Sweetpea's dismay. - Sweetpea's school nurse (you know, the AMAZING one) LEFT. Yes, I'm serious. She got promoted (I guess that happens when you're awesome). She is still around but now she's the head nurse and Sweetpea's school got a new nurse. I really like the new nurse (that's what Sweets called her for WEEKS - "New Nurse"). She seems to get the seriousness of diabetes (which I'm glad since there are SIX girls in her school). She is trying really hard to learn everything. I'm sure it's overwhelming learning all about diabetes and how to treat six different kids. There was so much going on that I didn't really freak out about it. We've just rolled with it. - Sweetpea is LOVING first grade and having a T1 buddy in her class. She is very happy and adjusting quite well to being away from Mom. And you know what? Mom is adjusting quite well to being away from Sweets! - School has been a challenge with blood sugar and the pile up of activity that occurs in the afternoons. She can drop 50-100 points in 15 minutes. We've made some headway and feel like we are finally getting somewhere with this. Blood sugars have been running LOW. - We got the new Dexcom G4. WOO HOO! I will DEFINITELY post more on this later. In case you don't know, the Dexcom is not approved for pediatric use although it IS in human trials. We were lucky enough to get ours RIGHT (like 2 weeks) before the labeling changed. So, our hospital will still let us keep it. They will not, however, write new scripts for it. (Some endo's have no problem prescribing it. You just have to check with your doc!) When we went to order the G4, our insurance said Great! Go right ahead. We will cover it 100%! Then Dexcom told us that they are no longer working with our insurance and so we had to go through a third party supplier. Whatever. BUT... the new supplier needed a NEW letter of medical necessity. *sigh* Why does it always have to be so difficult? We were afraid, of course, that the doc wouldn't give us a new letter. BUT... she did. It took a while. But we got it. And we love it! - Halloween. Trick or Treating. In the sleet. With your Type 1. Fun times. Enough said! Truly- we love Halloween and had a great time! I swagged some monster marshmallows at her school party (I'm not kidding. These things were ginormous.) and we rocked it! - Sweets has NO TEETH. She has lost FOUR in the past few weeks. Can you guess what she wants for Christmas?!? - We participated in our fourth Walk to Cure Diabetes! We raised a little over $11,000 this year for a four year total of over $50,000! -Other things of possible interest that I'm hoping to blog about soon: falling off the beam at gymnastics (again), awesome gymnastics teacher, the return of Mr. Funky (our elf on a shelf), really enjoying having a T1 in my class, hanging with D friends, World Diabetes Day, Instagram, some awesome giveaways coming soon and more. So there you have it. The highlights (or low lights) of the past two months. I miss blogging. I miss YOU! It's just this jello keeps me stuck. And before I know it one day has become the next and the next and I'm exhausted and working all the time and... here we are! It's time to turn up the heat. Time to melt the jello and get on with it! But there is ONE thing that immediately comes to mind. You have to wait until September 2. See - it's part of a project created by the amazing Alexis of Justice's Misbehaving Pancreas and the also amazing Kim of Texting My Pancreas and the You Can Do This Project. And all I can tell you about is that I'll fill you in as soon as I can! I know... no fair, right? But it will be worth the wait. Promise. I'll be sharing something with you that very few people know about me. There is ONE more thing that I CAN tell you today! The WINNER of the Stick Me Designs Scavenger Hunt! 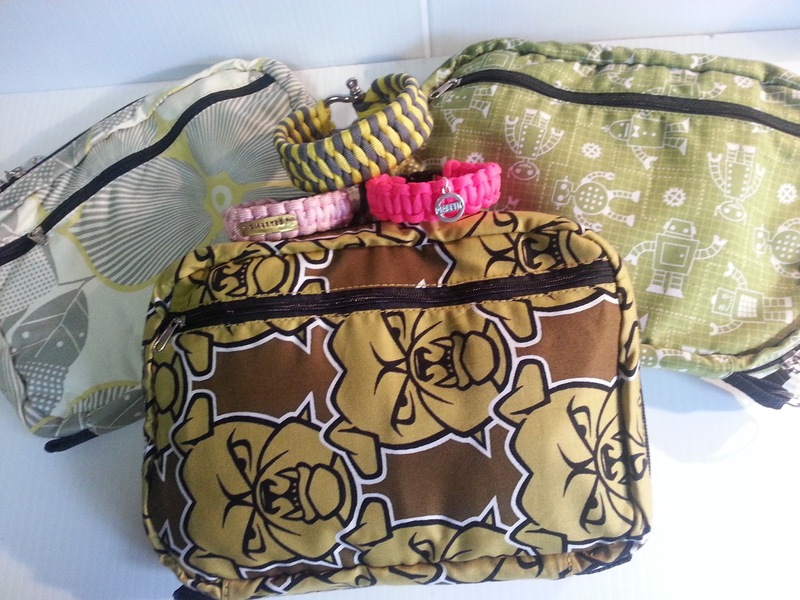 I know you are going to LOVE your new Deluxe Clutch and Tuff Band! Now, if you are super sad that you didn't win (and I'm sure you are), all is not lost! You can order your own from the Stick Me Designs website! And trust me - her items are worth every single penny! I carry my Deluxe Clutch EVERYWHERE! It lives in the bottom of my purse, kitchen counter and Sweetpea's nightstand. It takes a beating and STILL holds together well and looks super stylish! You won't be sorry going with this bag! And while you're there - take a look at some of the other awesome things you'll find! I am currently IN LOVE with her blue circle t-shirt and will be ordering one ASAP! And I also love the D Monster pump pet! I'm thinking stocking stuffer.... But actually I want one for myself!! A BIG THANK YOU to Stick Me Designs for participating in this giveaway!!! And now... I want to know what you thought! Did you like the Scavenger Hunt? I thought it was fun and different! But I want to know what YOU think! So let me hear it! It's right over there on the right! We worry about mealtimes, insulin doses, if anyone knows how to treat diabetes, if our children will alert when they feel low... or high... and if anyone will listen. We worry about hypoglycemic reactions. We worry that the pump will quit working. We worry that the finger stick was not accurate due to dirty fingers. We worry about birthday treats. We wonder if our children will be left out. We wonder if they feel different. We worry that they will be sent to the nurse on their own. We worry because they don't have a nurse. We worry that they will start to crash and no one will recognize the symptoms. We worry that they will go low on the bus. We worry that no one really knows how to use glucagon. And I think that's a HUGE challenge we face as parents of children with diabetes. Even though our kids look the same on the outside, they are different. They need extra care... extra attention. But because they "don't look sick" we often have to work hard to get people to take this disease seriously. To understand what it's really all about. And so we walk the tightrope. What a challenge THAT is! We balance between making them feel and be as normal as possible while also making sure they are safe and healthy. We hide our fears and our worries. We practice the blank face when looking at the number on the meter. We put on an image of calm. And yet we need them to understand that taking care of themselves is imperative. Of course, it's not only with our children that we do this - is it? How many times have you had to pull it together? To act like you're fine. You're good. You're not worried. Not constantly checking your phone. Not preoccupied. How often do you cover the dark circles and pretend to listen when you're really half asleep? So often just functioning is a pretty big challenge. 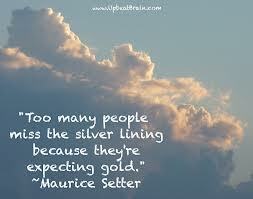 But the biggest challenge, in my opinion - at least right now, is letting go. It's standing at the bottom of the beanstalk and waving goodbye. Sweets is starting first grade today. At a new school. Not with me. I'm not there to handle things. She's on her own. And I'm trying REALLY REALLY HARD to not completely freak out and lose it! In my head, I know - it's a wonderful situation. She's going to do great! She's ready for the independence. She's excited and looking forward to it. She's got this. But, no matter how hard it is for us to do it (at the least the waving part), that's our goal. To get our children to the place where they are confident and capable. Whether it's going to school, taking care of diabetes, or handling anything else life throws their way. Knowing the toughness and tenacity of our kids, I know they are going to be just fine. And knowing the toughness and tenacity of D-Rents, I know we are going be just fine, too! Before I start in with today's post, I want to clarify the contest going on! My hubby tells me I was not clear! Imagine! Each day you will look for a Stick Me Designs logo on either the Stick Me Designs website or this blog. When you find it, post on our facebook pages. Don't give it away - just say you found it!! On Thursday, all four logos will be there. When you have found all four logos, leave a comment on the original post saying you found all four. The first person that finds all four wins - IF they know the location of the logos!! I will email the first person to find all four. If that person is able to tell me where the logos were located, they will win! If not, I will go to the next blog comment. For more information, take a look at the original post! If you have any questions, leave me a comment and I'll answer you best I can! Have Fun! 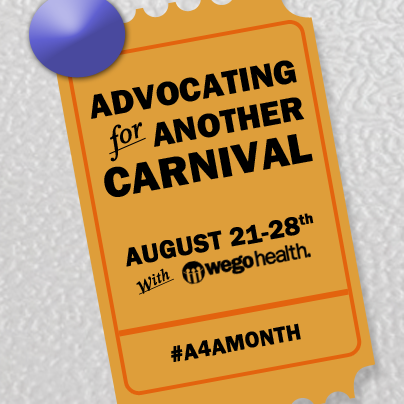 This week is the WEGO Health Advocating for Another Blog Carnival! I missed yesterday's topic so I'm going to combine yesterday and today into one post! I'm crafty like that! The prompt for yesterday was to write a descriptive portrait of your child/ren. Share qualities that make them, them – and include an image! Today's prompt is to write 5-10 of your favorite things about your loved one. Celebrate their uniqueness and be sure to tell us why those are your favorite things. My favorite thing about Sweets is her personality. She can be shy at times. But once she gets to know you she comes out of her shell. And that's probably putting it mildly! She has a large personality. She's hilarious and has a good sense of humor. You can joke with her and she gets it. She likes it. Me: Ummm.... yes. Why aren't you making your video? Sweets: You have to be EIGHT! It will be YEARS until I'm EIGHT. My life is OVER. I am NEVER going to get to LA now! She's very curious and asks lots of questions. She likes to read and play school. She LOVES books. She's never really enjoyed coloring. Never sat down with a coloring book. Never saw the point. She has always preferred to DO. To play pretend. To dance. To sing. She never uses toys for the intended purpose. She has lots of Squinkies but they are all used for play food or something else. She has a large vocabulary. And a LONG memory. She's very independent. But she prefers for me to do her diabetes care. She's sweet and caring and loving. She likes to rub noses and tickle. She has the best giggle ever. And she's a fighter. She's tough. She never complains about feeling ill. Never complains about not feeling good or feeling funny when she's low or high. She handles all the shots and the pokes and the blood and the counting and the testing and all the other crap that comes with life as a type 1 with a strength and grace that very few adults could show. My daughter is only six. And she's incredible. 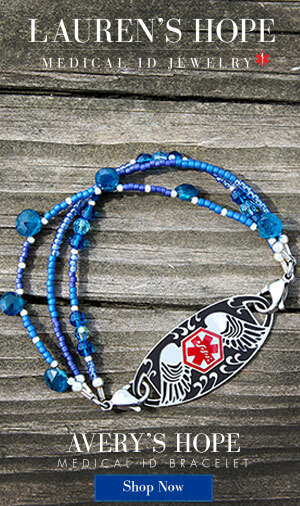 Today I am thrilled to be bringing you an AWESOME giveaway from Stick Me Designs! As you may know, I fell in love with Stick Me Designs a while ago. I'm always looking for a new diabetes supply bag. Or I WAS.... I need a bag that is big enough to fit all of Sweetpea's supplies. But yet small enough to fit in my purse. I don't want to carry two bags around. And I don't want to carry around something ugly. That's a lot of stuff, right? And it all fits nicely. I don't always carry around all that stuff... but when I NEED to, I can. And it slips nicely into my purse! Stick Me Designs has graciously offered to give away one Deluxe Clutch of your choosing! Have you seen the new designs? I like pink - but there's some super cute stuff for boys and some new, fashionable styles for everyone! Oh.... but that's not all! She is also giving away one of her new Tuff Bands! Plus they are really cute and you can even get two different colors! Here's your chance to win BOTH awesome products in the colors and designs of your choice! We're going to have a SCAVENGER HUNT! We will be hiding 4 Stick Me Designs Logos on our sites (4 total - not 4 on each). A new one will be hidden each day. And to win, all you have to do is find all four! The FIRST PERSON to find all four logos WINS! The time stamp of your comment on this blog will help determine who is first. In the event of a time, the winner will be picked by a random draw. 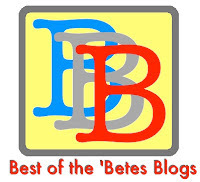 The winner will be announced on this blog on FRIDAY, August 24, 2012. Paperwork Piles and Some Upcoming FUN! I'm just drowning in a sea of paperwork getting Sweets ready to go back to school! And I had to go back to school for Kindergarten screening so I've been busy. I've updated the links on the School and Other Caregiver Tab above. All links are in working order. If you are looking for some help getting your child ready to go to school with type 1 along for the ride, check it out. I think you'll find lots of useful information. Just click HERE! Some people have mentioned that they have been unable to print the documents. I think that all you need to do is create your own account (it's free) and upload something in order to be able to download. You can upload anything and make it private. Oh... and I've been busy with something else, too! I've got a giveaway starting on MONDAY with one of my FAVORITE diabetes retailers! You DO NOT WANT TO MISS THIS! But check in early - because the rules are different this time and the first one completing the scavenger hunt (yes-- I said scavenger hunt) will WIN!!! I hope you're excited - I think it's going to be fun! Mama is Nervous as Hell?!? I've even been putting off writing this post literally since the school year ended. Because writing it makes it real. Sweets will be going into first grade in a few weeks. For those of you who are new to the blog, she has spent the past three years going to school with me. I am a kindergarten teacher. I teach in an early childhood center that houses only preschool and kindergarten. It has been a blessing to be able to have her there with me at school and do 95% of her diabetes care. It's been really hard. But oh so worth it. Next year, she has to go to a new school. And I will not be there with her. It's a very long story... but after lots of prayers and lots of tears, we decided to send Sweets to the school that the other children in our neighborhood attend (The school where I teach is in another district. I am able to drive her and she could attend that district if we chose. A "teacher perk".). I cried. A lot. I wanted to send her there. I really did. I wanted her close by. I wanted her THERE. It started looking more and more like what was supposed to be was that Sweets should go to the school that is in the district where we live. They have a nurse. A full time nurse. She would not be the only child with diabetes at this school. In fact, she would be one of FIVE. Lucky for us, I happen to know another D Mama whose child attends this new school. Misty from Life is Like a Box of Chocolates filled me in! And if you've read any of Misty's posts about school, you know that she LOVES their school nurse. I visited the school. I was REALLY IMPRESSED with the nurse. I don't think I impress easy when it comes to diabetes. But she was amazing. I didn't have to invent the wheel. She gets it. Sweets is actually excited about attending the new school. I thought she would be devastated about leaving her best friends - but she wasn't. She is THRILLED to go to school with Ally and Jessi! And her friends from our neighborhood. She is THRILLED to not be the only one with D.
One of the best parts? There's going to be another T1 IN HER CLASS!!!! God totally works things out.... Even if it isn't the way we expect. Letting her go. Giving up control. I know that this will be good for us... for HER. She's ready for the independence and the responsibility. 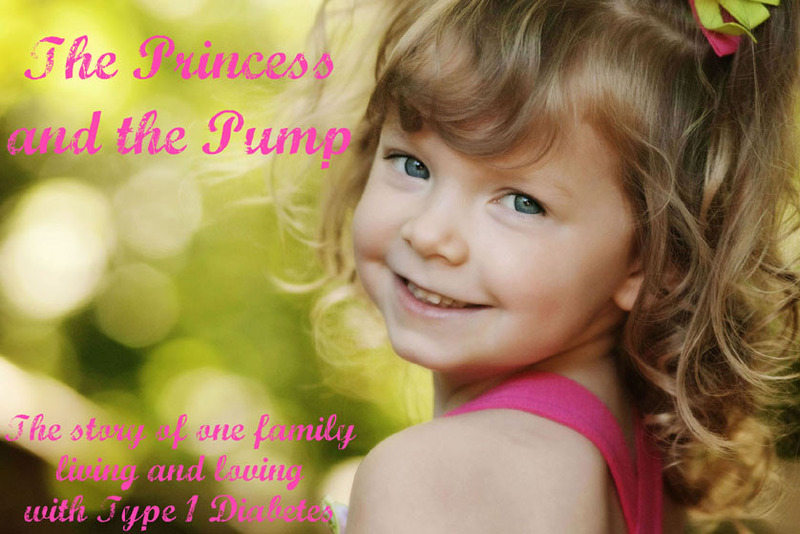 She needs to know that someone other than Mom and Dad can handle her diabetes. It will good for ME to have a little separation, too. To be able to simply be a teacher instead of a teacher AND a pancreas. But every time I think about it my stomach starts doing flips. So I keep putting it off. She will be fine. I couldn't ask for a better set up. But being a D Mama (or Papa) is just so hard sometimes. And it's even uglier practice. 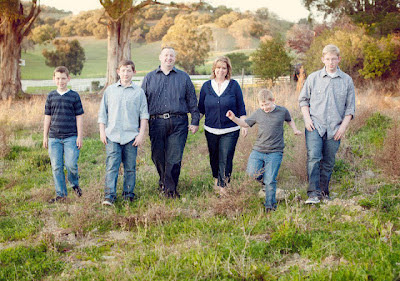 It's one of the things that I think motivates us the most as parents of children living with diabetes. At least it motivates ME. 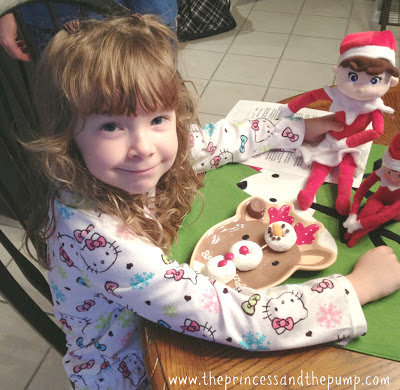 I want so badly for my daughter to KNOW that she can do anything - even though she has diabetes. That diabetes is not going to stop her. It's something that we talk about a lot and really pound into her head... YOU can do ANYTHING. And that's true. A person with diabetes CAN do anything! Except when someone tells them they can't. A few days ago my friend, Michele, sent me a message. She was upset. She was crying. She didn't know what to do. She had taken her children - including her daughter with T1, to a local water park. 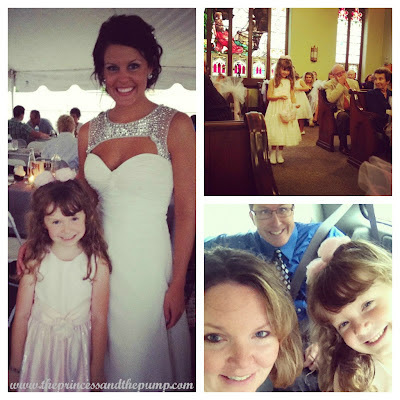 Her daughter was told that she could not go down the slides if she was wearing her insulin pump (she wears an Omnipod). She was told that it was a liability and that the rule was no plastic so if they let her wear it then they would have to let anyone with plastic on their swimsuit go down the slides. I can see why she was upset. Plastic on a swimsuit does not compare to a medical device that infuses life sustaining medicine to your body. Unlike insulin pumps with tubing, the Omnipod is attached directly to the body. Therefore, you can't take it off and on at will. You can't reattach it to give yourself missed basal. When you take it off, you terminate the pod and if you want insulin you have to fill a new one and insert another site into your body. You can wear the Omnipod in the water and we have found it great for swimming and other water activities because Sweets is able to get the insulin she needs continuously - her basal insulin rate is never interrupted. 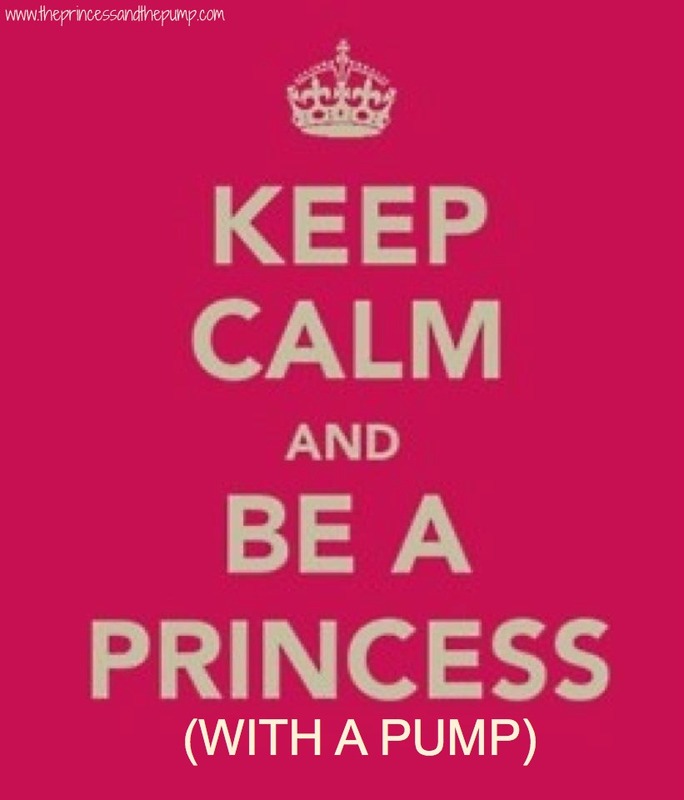 Sure- you can take an insulin pump off. But when you do, you are not getting the basal insulin that is infused into the body continuously throughout the day. You might be able to go without it for a little while. But not an entire afternoon. Certainly not a whole day. Ketones develop quickly without basal insulin and high bg's creep up. We have found that just a few hours without basal can leave Sweets with high ketones, high bg and vomiting. So, by telling this girl that she could not wear her pump, they were telling her that in order to participate that she had to - basically - put her life in danger. I know that sounds dramatic. But how many times have you witnessed what missed basal can do to a person with diabetes? It's not pretty. Every person is different. Each day is different. But going without basal for an extended period is NEVER a good option. Not to mention that she couldn't eat. Without the pod attached, she would be unable to bolus for food. The water park said that it was a liability and I understand that they could be concerned about it hurting the person wearing it or the plastic damaging the slides. However, she was wearing it on her stomach. You don't go down slides on your belly. And she wouldn't be hurt (nor would anyone else) if the pod came off. The water park was unwilling to work with this family. And that makes me very sad. And angry. Because all of what I've said about basal rates and food boluses is not the point. The point is that a person was denied access because of her insulin pump. 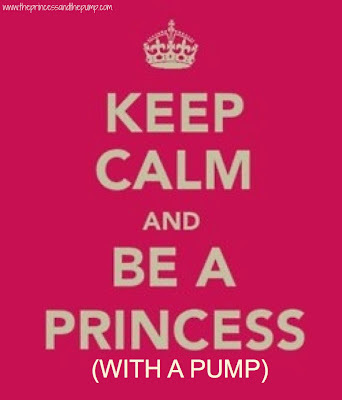 An insulin pump is not a piece of plastic decoration on a swimsuit. It's not a necklace that you can just take off. It's a medical device that a person needs in order to stay alive. How can you reasonably ask someone to do this? What option does this person have? Under Title II of the ADA, state and local governments must provide you with services that are not any different from those they provide people without a disability. They must not screen out or exclude you because of your disability. They must modify their policies and provide reasonable accommodations as long as doing so does not pose an undue burden. For example, a court house should permit you to carry your diabetes supplies with you—this might be a modification of a general policy against allowing sharp objects and food. All this little girl wanted was to go have fun... just like everyone else. When you live with diabetes, you are used to feeling like the odd man out at times. You're used being the only one counting carbs and delivering insulin. You're used to being the only one testing your blood before you eat. You're used to taking your lunch to the nurse. You're used to leaving class. You're used feeling different. Because no matter how much we try to make sure our kids know that they can DO anything... we can't help that they are the only one in their school with diabetes. We can't change the fact that none of their friends wear medical devices 24 hours a day. We can't change the fact they have to test their blood before they eat even if all their friends are digging in. We can't keep them from feeling different. We encourage them to keep going. We tell them how incredible they are. How brave, special, strong, important. We tell them that even though they might feel different at times, this disease does not have to ever hold them back. Because they CAN DO ANYTHING! And then someone tells them they can't. A reason that, to me, makes no sense at all. As far as I'm concerned, this water park FAILED miserably. If so, would you be willing to write to this water park and ask them to change their policy about people with diabetes wearing insulin pumps? Splash Zone Water Park Facebook Page Click HERE. Splash Zone Website (including address) Click HERE. Michele is not taking this lying down! She has contacted the ADA and even though the water park told her that they would "no longer talk to her about this" she is not taking no for an answer. This is not about making a fuss. Or causing a scene. This isn't about causing drama. Or even getting something that others are not entitled to. It's about what's fair. And what's right. She's not just doing this for HER daughter. But for mine. And yours. 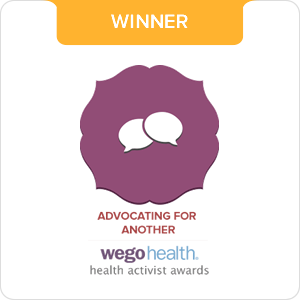 Because we believe that NO ONE with diabetes should ever be discriminated against or asked to put their health at risk to gain the same access as someone without diabetes. And THAT is worth fighting for!